I have written something and I would like to share it with all of you. I apologize in advance for it being very long but it is truly from the heart. 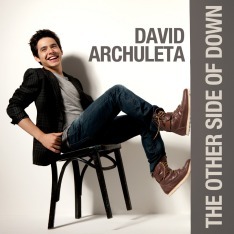 I have been a huge fan of David James Archuleta for 5 years now. I first saw him as a shy 13 year old boy who always smiled and barely spoke when he was spoken to. I have had the pleasure of watching him change from that shy boy in front of the camera at 13 to this strong young man he is today. he has had to over come so much from such a young age. I can’t even imagine how devastating it must have been for this beautiful young child to hear that he has vocal paralysis and may not be able to achieve his dream of being a singer. he must have been so sadden and disillusioned about his future especially since this was right after he won Star Search and could see his dream right at the horizon in front of him. but still this child did not give up and he kept his faith stronger than ever knowing that GOD had plans for him and he will be able to achieve his heart’s desire no matter what. I cannot tell you how much I admire him for that. to be so young and have such strong faith in GOD to know there is something special out there for him. he is the inspiration I use to face all the troubles I have had in the past and he shows me that through faith in GOD and a strong will you can overcome anything. he is such an open and kind-hearted person to the point that even the worst of this world do not get him down and take over him. he has what it takes even at only 18 to rise above it and move on to something more positive and helpful. he is so humble and so caring that even when things are suppose to be about him he makes it about other people and gives them the spotlight that should have been his and lets them shine. he is very content to stay in the background, I love how he gives his voice to causes that are so close to his heart like rising star outreach. he doesn’t have to do that; he could have just quietly gave a donation and never talked about it. but he has such a wonderful spirit that he decided to help get the word out on the awful things going on in the world and to give these charities a voice. I can’t imagine other kids doing such a thing instead of focusing on their new found stardom. he is truly a beautiful light of hope for so many reasons and I am so proud of him. I cannot wait to see how he turns out in the future, and with or without his music he will be a force in this world to be reckoned with and to take notice. if I had kids or grandkids he would be the role model I would want them to look up to. he is so very rare. I love that he is willing to give anyone and everyone a chance and their rights and the respect they deserve simply for being a human being. No matter what he keeps going and trying to leave a positive loving mark on this world. I wish him the best and I pray that all his dreams keep coming true. Even at his young age, David is a good teacher. He teaches by example. Just when I might have given up on American Idol, David demonstrated strength of character and a self-possession beyond his years by not only remaining on the show, but giving us a Finale to remember. I enjoyed reading your post, sweetbee. Yes, one of the most admirable qualities that David has is his generous spirit. He has so much to give and his bountiful supply of love bubbles over with his laughter. It’s obvious that he wants to wake up the world to the good that can be done when we become more socially and consciously aware.